Radical Rick was so talented on a bike that you'll never ride like him, but you can dress like him! 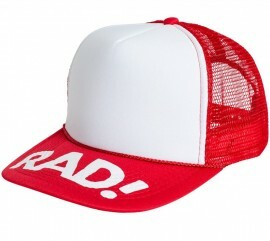 It's not practical to wear a helmet 24 hours a day, but you can get the same look as Radical Rick's authentic RAD! Helmet.